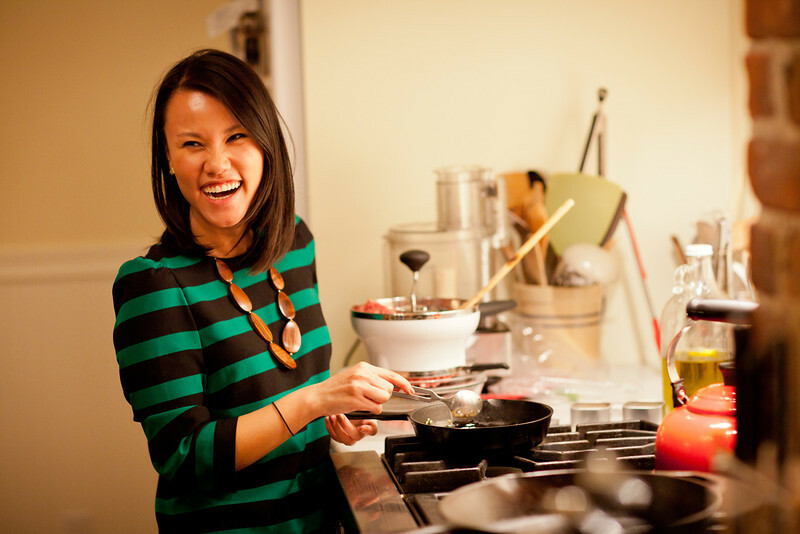 Jess Dang is the energetic and inspiring found of Cook Smarts – a great online menu planning site! 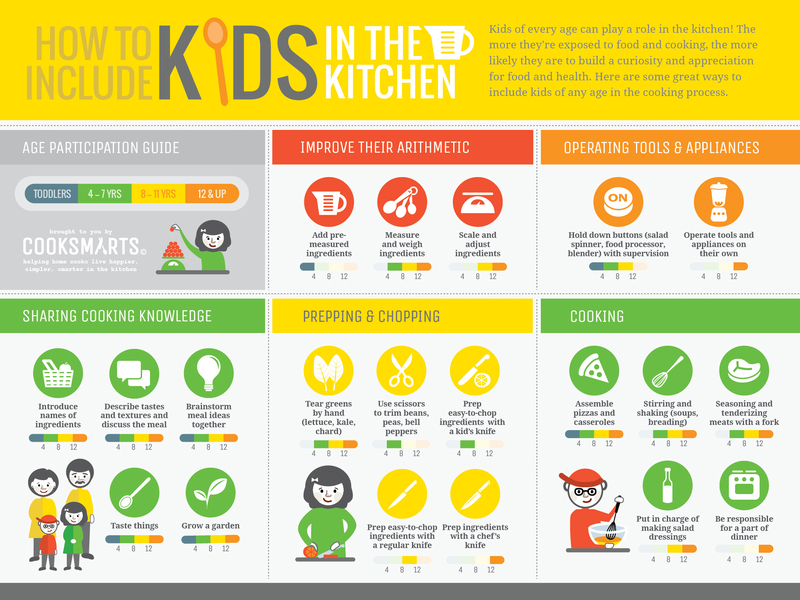 When I saw her infographics, I knew we shared a food education mission! 😉 Thanks, Jess! When Karen tweeted me to ask if she could share Cook Smarts’ ‘Guide to Enjoying Vegetables’ infographic, I immediately said, “Yes!” I was even more excited when she asked if I would contribute a blog post about some of the other fun projects Cook Smarts is working on, especially since our latest project is all about how to raise healthy eaters. As a past cooking instructor, I had the opportunity to work with a lot of parents, and many of them struggled to find ways to include their children in the kitchen. The kitchen was already a stressful enough place. Adding kids to the equation would only multiply that stress. However at Cook Smarts, we really believe that getting kids comfortable with helping in the kitchen from an early age sets the foundation for healthy eating. Young kids are naturally curious and will always want to take part in what their parents are doing. The earlier they’re included, the more likely they’ll continue contributing and helping as they grow up. While their schedules will get busier with extra-curricular activities and increased homework-load, the skills they’ll build in the kitchen are just as valuable to their success in the future. Sometimes it’s hard to know how to include kids in the kitchen though. Luckily there are so many resources out there with great ideas. Karen’s upcoming book ‘Getting to Yum’ is full of fun games that parents can play with kids to expand their food horizons. We also came up with an infographic that suggests a wide range of activities for every age range. Yes, there are ways to include kids as young as 1! If you want even more ideas on how to raise healthy eaters, visit our ‘How do I Raise Healthy Eaters’ page. Jess Dang is the Chief Kitchen Cheerleader at Cook Smarts. Cook Smarts believes that health starts with a home cooked meal. Click here to explore their cooking info and tools that transform home cooks into kitchen heroes.